The UCLA SIMS (a CAMECA ims-1270) is supported by the NSF Instrumentation and Facilities Program. This page describes some of the capabilities of our facility and some of the users that have visited and used it. 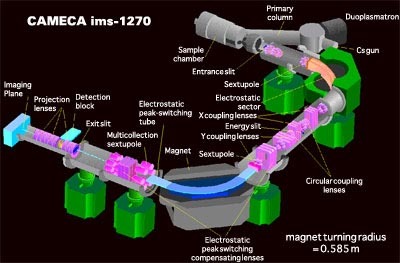 Cutaway schematic of the CAMECA ims1270 ion microprobe in single collector mode. 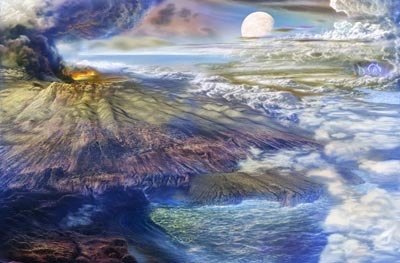 Artist's conception of the Hadean Earth highlighting the possibilities that oceans and continental crust were widespread. Note the fact that the Moon was much closer to Earth than at present. 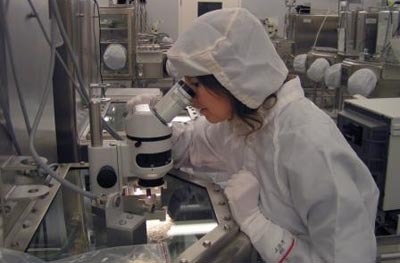 UCLA is a leader in analysis of returned samples from extraterrestrial missions such as GENESIS and Stardust.